It is generally accepted that language is primarily a means of communication. But do we always mean what we say – must we mean something when we talk? This book explores the other side of language, where words are incoherent and meaning fails us. it argues that this shadey side of language is more important in our everyday speech than linguists and philosophers recognize. Historically this other side of language known as has attracted more attention in France than elsewhere. It is particularly interesting because it brings together texts from a wide range of fields, including fiction, poetry and linguistics. The author also discusses the kind of linguistics that must be developed to deal with such texts, a linguistics which makes use of psychoanalytic knowledge. This tradition of writing has produced a major philosopher, Gilles Deleuze. 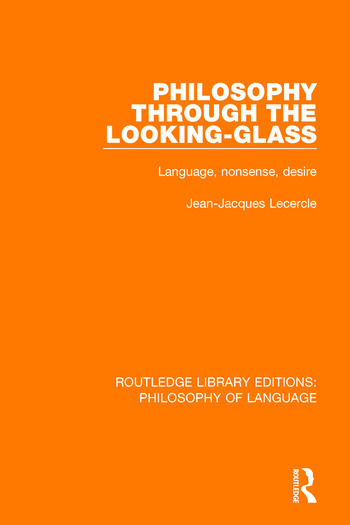 This book provides an introduction to his work, an account of his original theory of meaning and an analysis of the celebrated Anti-Oedipus, which takes délire as one of its main themes.